Are you looking for a pocket-friendly full-size laptop that can do it all? Then don’t look further than the latest Acer Aspire 5. It is an affordable and attractive system with a GPU suitable for gaming, and it is under $650. 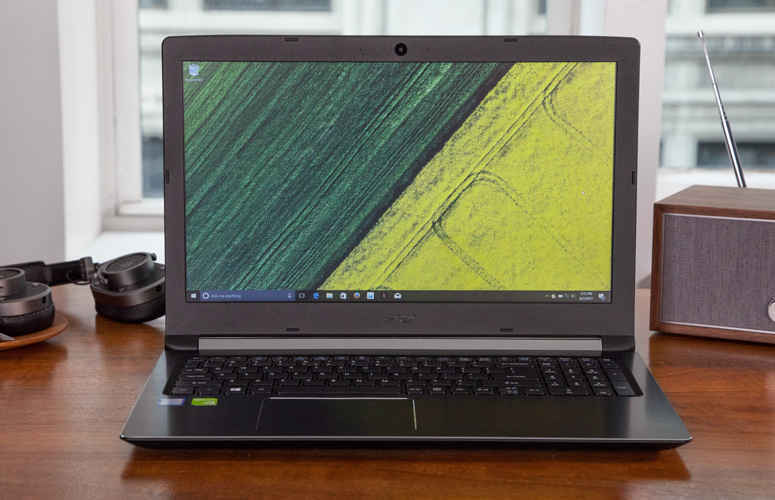 The Acer Aspire 15 is Acer’s first brand-new series of laptops with 15.6 inches display. The PC has a slim, light and well-built chassis, with an excellent keyboard. The screen display quality is perfect for its decent price. Few of its competitors with a 15.6-inch display and same price range are the Dell Inspiron 15 7000, Lenovo IdeaPad 510-15lKB and HP Pavilion 15. Acer Aspire 5 features SSD combined with an HDD storage device with a very long lasting battery. Overall, it is a great laptop but not with some mediocre configurations in some other models. The overall casing of Acer Aspire 5 in black colour and completely constructed of plastic, except for the keyboard deck which is made of metal. Though entire housing comes with the premium feel, Acer chose plastic to spur confidence of easy device mobility as light and tight. Overall, it has an impressive thin chassis that is at 0.85-inches thick, and the laptop weighs 2.1 kg with an HDD and SD included. Other models may weigh up to 2.4 due to the difference in hardware. Also, it has a smooth hinge, but you should be concern that the lids warped too quickly with little effort. As further testament of Acer Aspire 5 build, it is equipped with all the connectivities you expect. You should expect solid connectivity from Aspire 4 for the reason that Acer is delivering with a substantial component enough to work with the future and the past. Acer Aspire 5 comes with two different screen configurations. The cheapest model of Aspire 5 comes with screen of 366 x 768 px TN panel. Other top models come with 1920 x 1080 IPS panel screen display. Albeit, the produced images from either of the two screen is has been great. You will experience fluidity in everyday use. The Full HD display has 250 nits brightness with excellent viewing angle, though its colour coverage is mediocre. However, it is at least decent for its price which doesn’t burst pocket. For its price, Acer Aspire offers reliable performance. The Core i7-7500U processor incorporated will surely deliver enough decent productivity performance. Coupled with up to 20 GB of RAM and a 256 GB SSD and 1 TB Hard drive, multitasking feels more fluid and can find pretty much everything as well as gaming. Acer Aspire 5 comes out of the box with single USB 3.0 port, 2 USB 2.0 and a USB 3.1 first gen. port. It also sports HDMI and Mic/Earphone phone as well as a Micro SD card reader and charging port. There is also Intel AC 3168 Wireless Ac and Bluetooth 4.1. Acer Aspire 5 is no doubt a good looking laptop PC, and it is available. Its price is below $650 and, of course, price varies in different regions, you should not forget this.